Many have surely asked: “Why can’t editing text in a PDF document be as simple as it is in a Word file?” Actually, the PDF’s inherent simplicity is the reason editing text can be challenging. Because despite the PDF’s evolution, its core design and purpose, the PDF was and will continue to be, a final presentation document exchange format. However if we enable the PDF Creator’s border-viewing options, we can see how the two words are in fact four separate text elements, each enclosed within their own outlined borders (Figure 3). The borders are visual aids that PDF Creator can display to help users identify the positions of text elements on a page. We can reposition the text out of its normal “left to right” sentence flow (Figure 4), to demonstrate how it behaves more like separate elements. Borders identify each text element and helps users see how many characters are contained within each of them. A text element’s borders and contents are both modifiable, however this is not without introducing potential inconveniences such as character shifts, font changes, and altered sentence structures, etc. Changing a text element (such as inserting or removing characters) is really changing its structure and it should be done selectively. Does this mean that the PDF’s design is to blame for our inability to easily edit its content? No. Its design is the PDF’s raison d’être—to prevent changing the document. However, because people will always need to edit PDFs, there must be a way for them to do so more easily. As we shall see in an upcoming article, there are several ways users can improve the way they edit PDFs. That includes approaching the PDF editing process with a different mindset and using an Amyuni PDF tool such as the PDF Creator. From its humble beginnings as a document exchange format to its worldwide recognition as an open standard, the PDF has stood the test of time and is here to stay. Today, PDF integration can be found in everything from Web browsers, to document management systems, and long-term archiving practices, to name a few. As a result, developers have been (and will be) busy designing PDF technologies and integrating them into more and more applications. Developers who design ERP, BPM, or DMS applications, for example, need PDF integration that is easy, seamless, and affordable. Furthermore, they need PDF creating, editing, and converting functionalities that can be quickly accessed; either through a stand-alone product or through the integration of a few lines of code into their applications. These and many more PDF integration needs have been Amyuni Technologies’ fields of expertise for more than 10 years. With over a decade of PDF experience, Amyuni Technologies has produced reputable PDF tools designed with the developer in mind. One such tool is the Amyuni PDF Suite—composed of the Amyuni PDF Converter and the Amyuni PDF Creator. The Amyuni PDF Converter is a printing tool that creates PDFs from any Microsoft® Windows® application. This Windows 7-certified printer driver enables developers to generate stable, well-structured PDF documents in a fraction of the time required by other tools. Conversion speed is crucial for applications that convert high volumes of documents in multi-threaded and 64-bit environments. 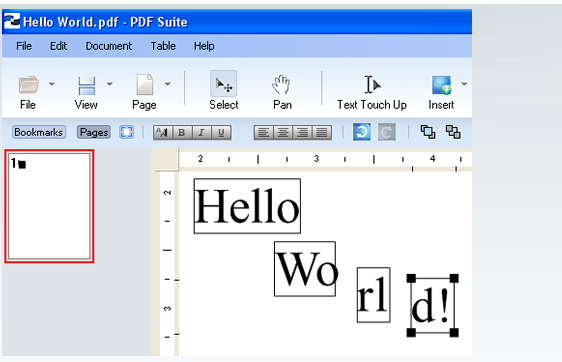 The Amyuni PDF Creator is a tool that enables developers to display, create, edit, and print PDF documents from any Microsoft Windows operating system. Powerful, stable, and easy to use, the Amyuni PDF Creator gives developers a high degree of control over PDF documents and their content. Available for .NET and ActiveX development environments, the Amyuni PDF Suite’s versatility combines the industry’s fastest PDF conversion with powerful document creation and control capabilities. The support of different file formats is another aspect of versatility. The Amyuni PDF Suite supports the compressed XRef table and PDF 1.7 formats and generates PDF/X-1 and PDF/X-3 documents which ensures that developers always work with the latest file formats. Furthermore, with the Amyuni PDF Suite’s updated PDF/A engine, developers can produce PDF files that adhere to the PDF/A standard for the long-term archiving of documents. However, file support is more than just loading and creating documents that have different formats. File support is also about sending, receiving, and archiving documents using standards such as XMP metadata and the PDF/A archiving standard. Fortunately for developers, the Amyuni PDF Suite provides support for both. With the PDF Creator they can embed their own customized XMP metadata within PDF/A-1a and PDF/A-1b documents and still retain ISO format requirements. In addition to various PDF file formats, the Amyuni PDF Suite also supports complex internal file structures such as layered documents. Developers can use the PDF Creator to load, display, and create layered PDFs. A layered PDF is a document that was originally generated by software with layer-generating capabilities such as AutoCAD® or Microsoft Visio®. The resulting PDF contains optional content (layers) that can be displayed or hidden by the reader. Processing and generating different portable document formats is a developmental necessity, but what about their presentation? With today’s demand for online documentation, developers need to know they can display PDF content using the latest Web technologies. An example of one such technology is Microsoft’s Silverlight™. With the Amyuni PDF Suite, developers can integrate Silverlight-viewing functionalities into their applications with minimal code changes and export PDF files directly into XAML. 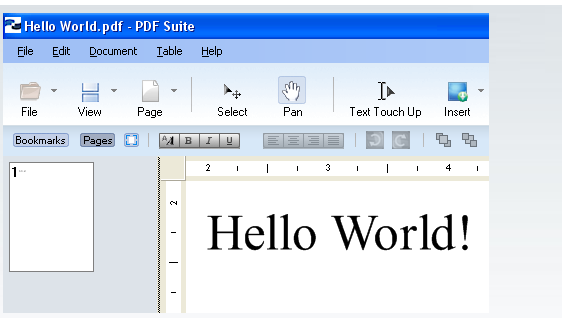 Once in XAML, PDF content can be displayed directly from the Web page’s Silverlight controls. The Amyuni PDF Suite offers many development benefits and one of these is its proprietary technology. Because the Amyuni PDF Suite does not rely on any external libraries (e.g., Ghostscript), developers are not required to license any external technologies to distribute applications that use integrated Amyuni products. This benefit means low-cost licensing options that are advantageous not only for developers but for large corporate distributions as well. It’s no surprise Amyuni Technologies have been integrated into thousands of applications on millions of desktops worldwide, turning developers’ software requirements into reliable PDF solutions.